The Northern Sydney Wargames Club was founded at least by 1970 as the Northern Wargames Association, then by 1991 the club had changed its name to the Northern Sydney Wargames Club. Gamers from all over Sydney come to have a great time at the NSWC . The club now meets at the Old Church, within the St Marys Primary School grounds at Rydalmere at 1 Myrtle Street. Turn from Park Rd (runs off of Victoria Rd and Kissing Point Rd) into Pine Street and then left into Myrtle, the gate entrance is on the left. The Rydalmere Catholic Church is on one corner of Pine & Myrtle the school is on the other. Meeting time is from 9am to 5pm. 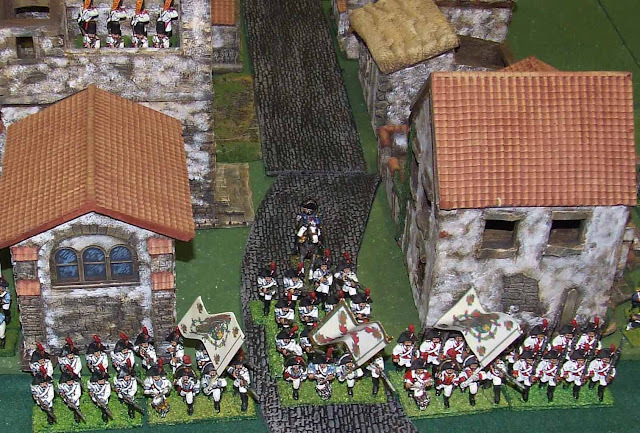 The majority of the members play 25/28mm Napoleonics, ACW and 16th century Italian Wars, Boardgames and WWII Naval. A few of the members are also building War of the Roses, English Civil War and 10mm 7 Years War. We also have a number of different types of naval, Napoleonic, ACW, WWI, WWII. There is also a small and dedicated group of boardgamers prepared to play anything, which they often do.